The NYC Department of Health is urging New Yorkers with respiratory symptoms such as cough, chills, fever and difficulty breathing to seek immediate medical attention after 7 people from Morris Park in the Bronx were hospitalized for Legionnaire’s disease. 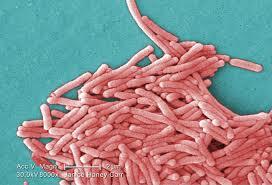 This outbreak is different from the one that occurred this summer in the South Bronx (see previous blog) and that was attributed to Legionella found in the cooling tower of the Opera House Hotel. The Department of Health is actively investigating this new outbreak. Health alerts have been disseminated and hospital ER’s in Morris park are checking for higher than usual cases of pneumonia. Nursing homes and senior centers are being visited to educate staff and patients about the disease. After a dozen died and over 100 more suffered serious personal injury from Legionnaires’ disease outbreaks this summer in New York City, Local Law 77 of 2015 was recently enacted to identify, regulate and inspect all buildings using a cooling tower. As a first step building owners have until September 17, 2015 to register existing cooling towers with the NYC Department of Buildings. A new NYC Cooling Tower Registration Portal has been created for this purpose. More information can be found here. The dangerous bacteria continues to spread in the city. Yesterday, a catholic school on the Upper East Side of Manhattan had to temporarily close for disinfection after tests showed some legionella bacteria in a cooling tower. 86 cases of Legionnaire’s disease have been confirmed in the South Bronx during the last three weeks. This is the largest and deadliest outbreak of Legionnaires’disease in New York City. The disease which is a severe form of pneumonia is spread through a bacteria that grows in the water. This bacteria has been plaguing New York City cooling towers for years and there are between 200 and 300 cases reported every year in New York City. New York City residents contract the disease when they inhale the mist of cooling water contaminated with the bacteria. According to the CDC, the number of Legionnaire’s disease cases in NYC increased by 230% between 2002 and 2009. The city’s rate of Legionnaire’s disease is twice the National average. The outbreaks have been happening all around the city for decades especially in poor neighborhoods but so far the city has been neglecting the deadly problem and has no regulations in regards to cooling tower safety. It took seven people’s deaths in the last three weeks for the City to finally take action and propose legislation to identify, regulate and inspect all New York City buildings using a cooling tower. Mayor de Blasio held a press conference yesterday at Lincoln Hospital in the South Bronx. He provided an update on the recent outbreak of the disease and said the new laws will be introduced to the City Council this week.